#Electronics_Scams List for December 2017 | NoScams Scam Advisor! 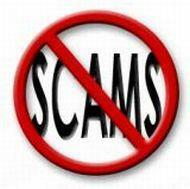 Christmas is just over and unfortunately the scams did make good money from some poor souls. Really, do your research and buy only if you see absolutely no warning signs! iam based in africa and would like to know if this wesite if on the list of scam before i buy from them. This is a 100% scam! Do not deal with them! Unlikely that this person is in Shenzhen, the mobile phone is registered in Anhui province, quite far away. And the name does not sound real. http://icorh.com is 100% scam! Do not send them money! Yes, 3nodtrading.com is a 100% scam. 100% scam and thank you for this new scam! Absolutely a scam. Their website has been mocked up to maintain the illusion that they’re an operating company when in reality if you dig deeper into their site you’ll find that they are 100% scammers. Please do not buy from them for your own sake. Their products do look lucrative and that’s exactly what they want.